This article is sponsored by Cherry Blow Dry Bar Frisco. New Year’s Eve brings the excitement of resolutions, a different digit on our checkbooks, and new adventures. What better night to try a brand new look or a bit of extra glam as you ring in the new year with friends and family? Is there a new hairstyle that has caught your eye during the holiday season? A fun pop of color is a great way to try a new look without an extreme change. Long glamorous curls never go out of style, and combining them with a partial up-do is a fabulous look to pair with an elegant outfit. Adding variety to a one’s regular makeup routine can also give a New Year’s Eve outfit a bit of glam. Want some inspiration? The Instagram feed and lookbook of Cherry Blow Dry Bar are fantastic sources for new makeup ideas. New Year’s Eve is also a fabulous opportunity to enlist the help of experts and get some new inspiration, all while being pampered. 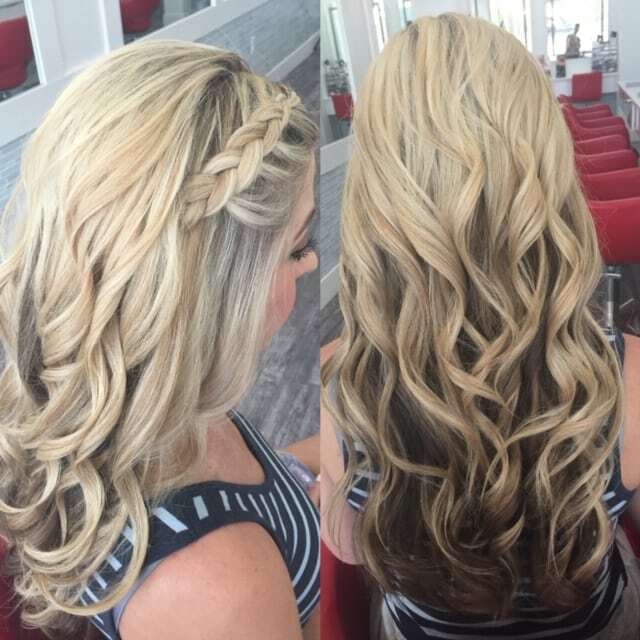 Cherry Blow Dry Bar, located just across from the Omni Hotel in the Star, is staffed with creative beauty experts who love making their clients feel fabulous while educating them about effective products, glittering styles, and easy techniques. Cherry Blow Dry Bar stylists specialize in a variety of creative glamorous looks that can be incorporated into any New Year’s Eve outfit. 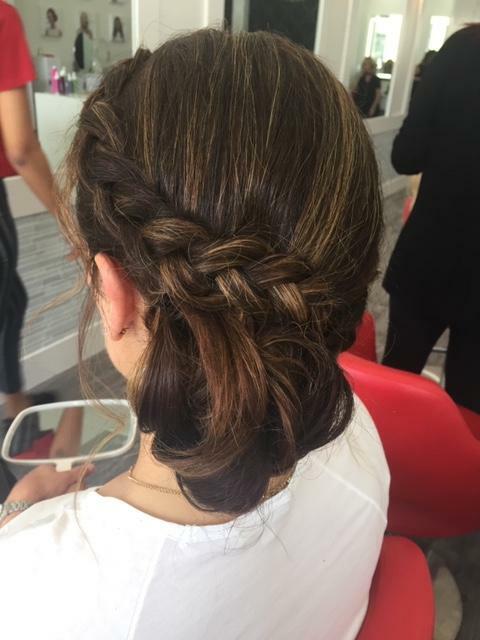 Ready to try a side braid, a braid crown, or a braid incorporated alongside curls or a straightening blowout? The stylists offer a number of stunning options. A bubble ponytail or retro glamorous styles snagged from the lookbook can be a fun, playful look, while a color melt or permanent extensions will help you ring in the New Year with a dramatic flair. Short on time? A quick blowout can transform straight hair with soft waves or turn wavy hair into a dramatic straight look. J ust need a quick touch-up or something that will last beyond the lights of New Year’s Eve? Cherry Blow Dry Bar offers Root Conceal Spray for an easy fix to roots or grey. while the Smoothing Keratin Treatment can last up to six weeks. Bold lips, soft up-do’s, and “half-ups” are especially trendy this season! But don’t limit yourself to a new hairstyle! 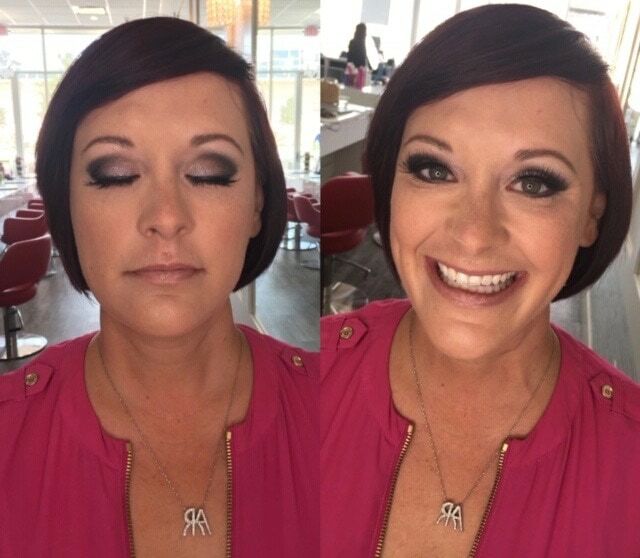 The stylists at Cherry Blow Dry Bar are makeup experts. Eyelash extensions along with eye and lip makeup options can give you a brand new fun look for a fabulous evening of celebrating. They’re happy to educate clients about wonderful products as well; for instance, the Ecru velvet lipstick line is a favorite of Cherry Blow Dry Bar experts. Not sure what style will pair perfectly with your New Year’s Eve dress? Follow Cherry Blow Dry Bar on Facebook or Instagram to take advantage of their promotional events early in December for a “practice run” of your new look. Ready to commit to a regular beautifying session? Cherry Blow Dry Bar offers a variety of membership options that fit a variety of budgets and every professional and personal need.